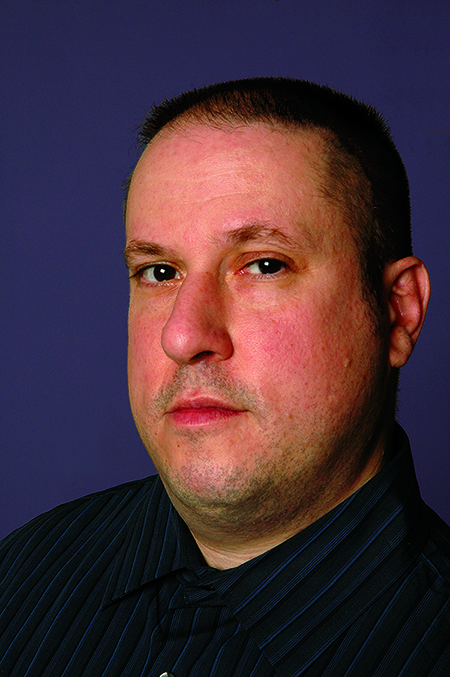 JOHN J. TRAUSE, the Director of Oradell Public Library, is the author of Eye Candy for Andy (Finishing Line Press, 2013); Inside Out, Upside Down, and Round and Round (Nirala Publications, 2012); Seriously Serial (Poets Wear Prada, 2007; rev. ed. 2014); and Latter-Day Litany(Éditions élastiques, 1996), the latter staged Off-Off Broadway. His translations, poetry, and visual work appear internationally in numerous journals and anthologies, including the artists' periodical Crossings, the Dada journal Maintenant, the journal Offerta Speciale, the great weather for MEDIA anthologies It’s Animal but Merciful and I Let Go of the Stars in My Hand, and in Rabbit Ears (NYQ Books, 2015), the anthology of television poems. Marymark Press has published his visual poetry and art as broadsides and sheets. He has shared the stage with Steven Van Zandt, Anne Waldman, Karen Finley, and Jerome Rothenberg; the page with Lita Hornick, William Carlos Williams, Woody Allen, Ted Kooser, Victor Buono, and Pope John Paul II; and the cage with the Cumaean Sibyl, Ezra Pound, Hannibal Lector, Andrei Chikatilo, and George "The Animal" Steele. He is a founder of the William Carlos Williams Poetry Cooperative in Rutherford, N. J., and the former host and curator of its monthly reading series. For the sake of art, Mr. Trause hung naked for one whole month in the summer of 2007 on the Art Wall of the Bowery Poetry Club. He is fond of cunning acrostics and color-coded chiasmus.